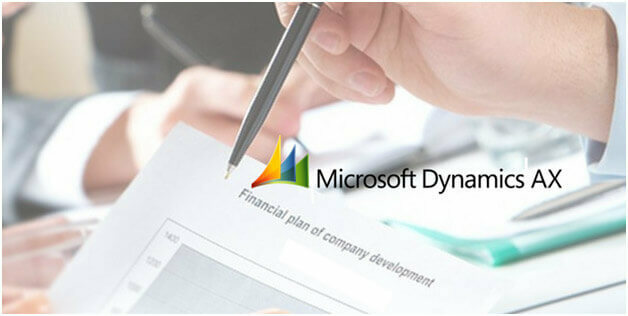 Microsoft is continuing developing and upgrading its flagship ERP solution, Dynamics AX, but now it is integrated with Dynamics CRM, and is now known as Microsoft Dynamics 365 for Finance and Operations. The new version has a host of more features and functionality. There are a host of new features which are being added in the new Dynamics AX and some of them include things that are listed below. Internal Use Only feature has been incorporated to X++ language. Therefore, now X++ compiler diagnoses cases in which the artifacts which are decorated with this function are referenced outside the present model as cautions. This characteristic is a substitute to highlighting the artifact with an internal keyword, however, it has the benefit that it offers theusers the time needed to weed out not so useful references while they are still creating a build. In the new edition of the Dynamics AX, the user can easily hide the existing menu item or even the embedded menu with the help of the extension. The user can easily set upvisible property in the extension. The user can smoothly gain insights into the richest queries which are being run on the system. The SQL Insights layout on the Environment page depicts the historical data which is related to most rich of all the queries, centered aroundperiod, rational input/output (I/O), CPU time, as well as theimplementation count. There is also the featureto download the implementationstrategy, so that the user can do superfluous analysis and query tuning. Users will be able to view a useful description for a section on the page by taking the mouseon that section’s label. This will make is smoother for the users to learn and understand significant business details which is linked to a page field. So, the team can function more productively by using Microsoft Dynamics AX. Now, the users can apply the Internals Visible To Attribute characteristic to open internals for intake from other models. As the user tries to lock models for over-layering, objects will become inner to the model to better segregate implementation particulars from outside calls. Though, it might be beneficial to mark other ones as “friends” which have access to all the internals. This feature is mostly useful for test situations. For this, the Internals Visible To tag can be used to descriptor XML file, specifically for that particular model which has the internal code. A new column is integrated in the Customization analysis report. The visual quality of the code improvement experience has been uplifted for the Dark theme. Microsoft Dynamics AX grid control contains a very usefulfasted itattribute, and this is available during the run time. At the time whenever this particular property is enabled, then the grid and the adjacent page are aimed only on accepting as well asauthenticating user input. So, this property is basically used to generate an enhanced “heads-down” information entry experience. A user will be able to develop a workspace via personalization. In the dashboard, the user can easily right-click and choose the option to personalize the field. You would be able to add a new workspace tile to the dashboard as well using this feature. You can easily customize this tile by typing in a name for that workspace that you had created. After this, you would have to click on the tile in order to open up a new, empty workspace which you can easily personalize, the same way youpersonalize any other workspace. Also, there is an additional option that enables the user to add a specific link to the workspace from the details page. Earlier, the user was able to only save a filtered list from the page to a workspace but now, there is an option to save the list in the form of a link on the workspace as well. As Microsoft Dynamics AX is run in viewports of variableportions, it's significant that page content be laid out appropriately for the space that is available. Some of the other changes that are integrated in the new Dynamics AX also include things like Overflow buttons present on the toolbars as well as on the navigation bar. These are for the set of actions which don't fit the present width of the viewport. The Message box content is also resized in the new edition. And, it is based on the present width. Plus, a plenty of panes have been collapsed automatically. Microsoft Dynamics AX is a platform which is compatible with former editions of the Dynamics AX apps, from Dynamics AX 7.0 edition. So, you can stay abreast with the state-of-the-art advancements of the solution without having to update the complete application. Dynamics AX new edition has come up with a plentiful new additional and offerings to make the experience of user more fulfilling.